OKC Smiles is a wonderful dental practice in the Oklahoma City area to take care of you and your whole family’s dental health needs. Whether you need teeth cleaning, cosmetic dental treatment or even a tooth extraction, our general dentistry service is top quality and we have the great doctors and staff to make your visits comfortable and enjoyable. Dental Crowns | A dental crown is a prosthetic, or false, tooth or teeth used to replace or repair a broken or missing tooth. OKC Smiles can help create beautiful, natural looking crowns to restore your smile. Dental Fillings | Not all fillings are created equal. Some filling materials have actually been shown to cause long-term damage to those who received them. OKC Smile uses tooth-colored fillings that will be unnoticeable to others, and non harmful to your health. Dental Sealants | There are many things you can do to help prevent cavities and other dental issues—brushing, flossing and watching what you eat are a few examples. You can create an even stronger barrier (literally) with well applied sealants, which create a tough barrier for any disease to break through and damage your teeth. Be sure to see your dentist in OKC for regular teeth cleaning appointments. Dentures | Dentures have come a long way over the years. OKC Smiles regularly creates beautiful dentures that look as natural and real as your original teeth. Do you have missing teeth due to decay or tooth extraction? Properly created dentures can help you improve your chewing, mouth structure and even your confidence and self-esteem. Root Canals | Horror stories of root canals are a thing of the past. 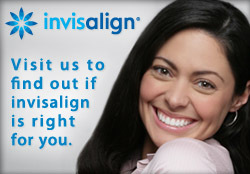 At OKC Smiles, we make sure the entire process is comfortable and calm for you. Though root canals used to be a traumatic occurrence, our expert and caring doctors and staff will surprise you with how comfortable of an experience root canals can be. Don’t let that pain nag you forever. You won’t regret it! Toothaches | If you are dealing with a toothache, don’t wait any longer. Schedule an appointment with OKC Smiles before things get worse. We will be able to identify what the issue is and most likely resolve it right on the spot. If your tooth is beyond dental restoration, we provide tooth extraction. Trust OKC Smiles to take care of you and your dental health. Call us today for all of your general dentistry needs.